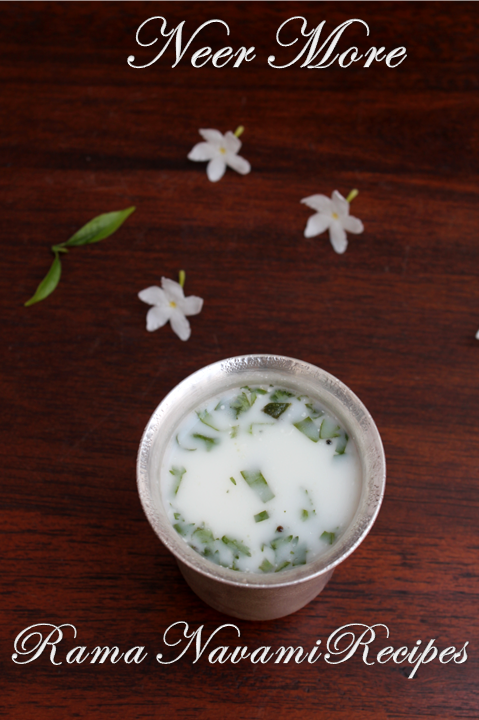 Neer more is nothing but spiced and flavoured buttermilk. 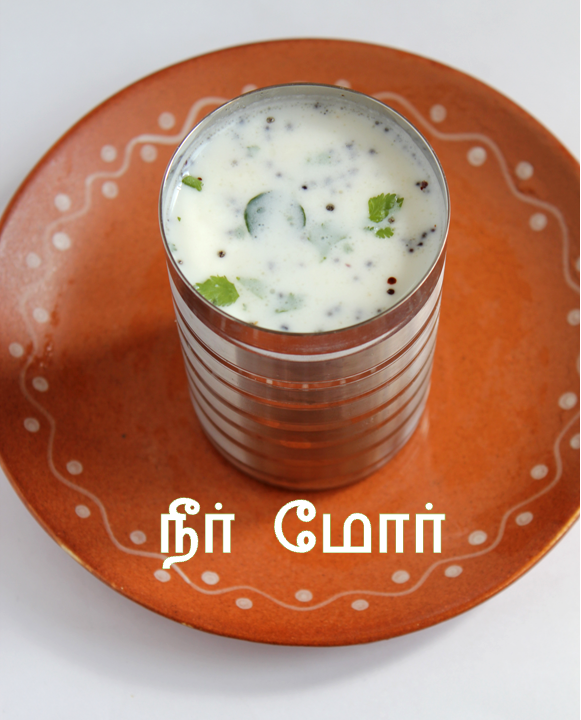 'Neer' means water in Tamil and 'More' means buttermilk,so it is watery buttermilk.It is very common in south India.It is a summer drink since south india is a hot place.It is even distributed in stalls for free in south india in summer festivals and carnivals. Traditional butter milk is the liquid left after churning the butter out of cream.It becomes a little sour when not refrigerated after churning.There are a lot of preparations like more kali,more kozhambu using this buttermilk. This is also a traditional drink.It is prepared a s a naivedhyam on sri rama navami.It is also made an after meal drink in the sumangali poojai.It is given to all the ladies along with panagam after the meal. Blend the curd first to make it smooth with a little asafoetida and salt. Chop the green chillies,ginger,corinader leaves and curry leaves. Add it to the buttermilk and mix.squeeze half a lime if you prefer. Heat one tsp oil crackle mustard seeds and curry leaves and pour in to the buttermilk. 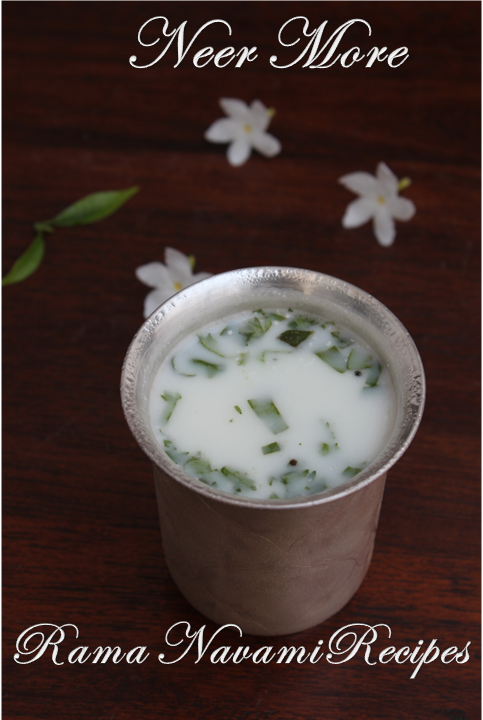 Serve the buttermilk chilled in summer it tastes very good. Use half asafoetida while churning and half while tempering. If the curd in not sour you can add lemon juice.It tastes good also. Instead ofchopping you can grind the chilli,curry leaves and corinader leaves and add it to the buttermilk.